Nike Is Officially Opening In Downtown Detroit! Amazon plans to expand its Detroit office, adding more full-time jobs in hopes of creating a technology hub. The vice president for Amazon Marketplace, Peter Faricy, said on Monday that the company was focused on hiring residents of Michigan, which he described in a statement as a rapidly growing technology corridor. Amazon already has hundreds of employees in the state. Amazon, based in Seattle, leases space on one floor in an office tower in downtown Detroit, where employees work on software development, engineering and advertising sales. Mr. Faricy and other officials at a news conference did not give specifics about how many more workers would be hired, but they said the expansion would give Amazon room for more employees in technology, including software developers and engineers. As old businesses close and new ones move in, neighborhoods are losing their visual identities. But now they can have signs that stay true to the neighborhood's roots. On her commute home from work in Detroit, designer Jessica Krcmarik started to become obsessed with the old signs lining the main drag of Woodward Avenue—machine shops, dry cleaners, "you buy, we fry" cafes with sprawling fish murals. She started a photo archive, stopping whenever she discovered a new piece of hand lettering. But she also noticed that the typography was starting to disappear, replaced by plastic signs with standard fonts. "A lot of communities are kind of losing their visual culture, the more things get replaced with these very bland signs," she says. An exploding food scene, young entrepreneurs taking back the city and the driven hustle of the All-American comeback city. There is a city in the middle of America that is fast becoming a hipster haven full of artists, young entrepreneurs, and a rapidly rising restaurant scene - and we are not talking about the Windy City. Detroit is on the comeback trail, and travelers around the world will be taking notice. Detroit has great bones - no city in the world looks like Detroit. 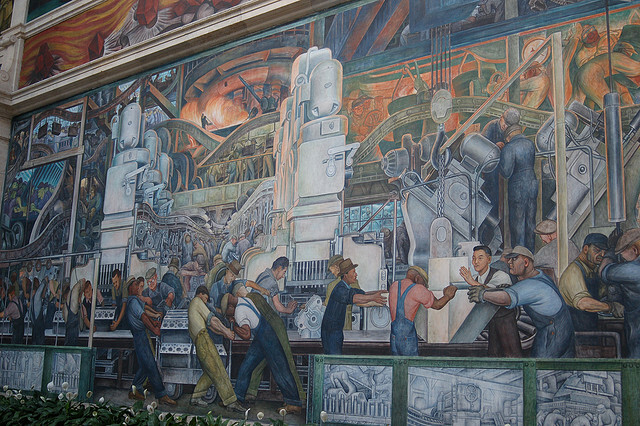 Artists Frida Kahlo and Diego Rivera called Detroit home in the 1930s. Architecture masterpieces like the Guardian Building and the Masonic Temple still give the city it's character. Barry Gordy and Motown started a soulful revolution, and hometown favorite Eminem help shape the lexicon of American Rap Music. All this cultural abundance and you can see Canada right across the Detroit River. "The ashes have been rising in Detroit." Pashon Murray of Detroit Dirt speaks of the winds of change in the motor city, "We have the opportunity to rebuild one of America's great cities. Making it great for the next generation of Detroiters." Once the classic Americana city, Detroit was the industrial manufacturing mecca for decades around the world. The bottom finally dropped out in 2013 when Detroit became the largest American municipality to declare bankruptcy. Detroit was in the crapper and in dire need of either a serious makeover or ultimate implosion. Now, after decades of corruption, loss of millions of jobs and local government leaving this once great city in shambles, the citizens of Detroit are slowly picking themselves up off the floor and creating a Detroit 2.0. Amazon Is Officially Opening A Tech Hub In Detroit! Online retailer Amazon announced this morning at Cobo Hall they are opening a corporate office in Detroit and plans to expand in early 2016. Seattle-based Amazon says it wants the downtown office that's celebrating its grand opening Monday to be a technology hub. 100 employees will occupy one floor in the 150 W. Jefferson office tower downtown, working on software development, engineering, and advertising sales. Amazon plans on expanding to multiple floors in early 2016 to create its tech hub. Amazon says the office will mean more full-time technology-focused jobs, but the company didn't say how many. Peter Faricy, vice president for Amazon Marketplace, says in a statement that Amazon is "focused on hiring in the state." As part of the announcement, Amazon is donating $10,000 and 30 Amazon Fire tablets to the Detroit Public Schools' Carver STEM Academy program. The school offers a curriculum rich in science, technology, engineering, the arts and mathematics. For job opportunities with Amazon in Michigan, Click HERE! 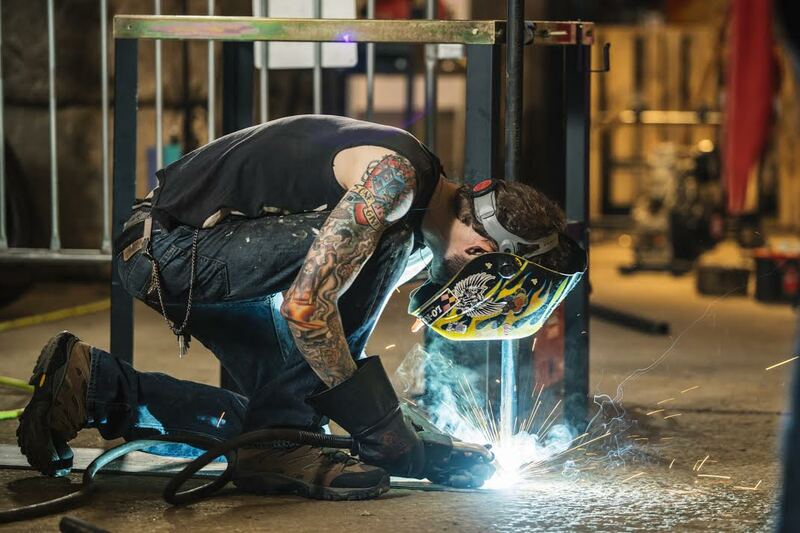 Red Bull Creation, Detroit’s very own 72-hour industrial hackathon, is currently underway at Recycle Here! (1331 Holden St.) The competition not only features six teams in an “Invited” division from throughout the country building at the event site, but also seven other local Detroit teams comprised of incredible makers, do-it-yourselfers, and hackers in an “Open” division building throughout the city. At 4pm, the clock will stop after 72-hours of building and all of the 13 team’s Creations will be on display at Recycle Here! The event will feature a community BBQ, music, and other festivities as the teams are judged on their finished products and the winner is announced! Say what you want about the Brooklynification of Detroit, but if you’re going to have cocktails, Gold Cash Gold is your spot. 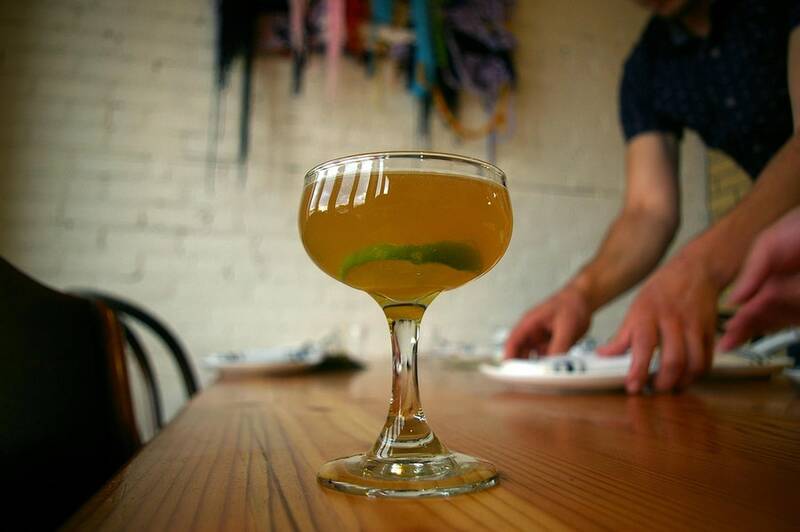 It also might be one of the only restaurants in the country to have a feminist happy hour. I saw it first on Instagram, when a friend posted the menu from Gold Cash Gold (named after the pawn shop it replaced) recently, announcing an “Oysters for Equality” special. I had to know more. Mainly because I could eat 27 oysters if placed in front of me, but equality is nice, too. The special gives 23 percent off oysters and beverages for all women every Friday late afternoon—representing the gender pay gap, women making .77 cents on the dollar that men earn. Changing the status quo, one hopeful, slimy, briny oyster at a time. On October 2, Write A House will reveal the newest winner of its groundbreaking writing residency in Detroit. He or she will receive a newly renovated home in Detroit, which they get to keep, forever. Write A House awards homes to writers in order to support the literary arts and inject creative energy into communities that are otherwise neglected. We work year-round to fulfill this mission of community engagement, neighborhood stabilization, and vocational education. In 2014, Write A House gave away its first home in Detroit to Brooklyn poet Casey Rocheteau. This summer, after fielding more than 220 applications from across the country and world, Write A House announced its shortlist of 10 finalists. These talented writers of fiction, poetry, and nonfiction are from nine different states, with two from right here in Detroit. Join us as we welcome the newest addition to our Write A House family on this special night, celebrated at the pretty bungalow in NoHam/Banglatown that we are gifting to the writer. We will also feature a reading by Michigan-born novelist Matt Bell from his newly released novel Scrapper, which is set in Detroit. Pages Bookshop will be on hand for book sales. Bell, who is one of our fiction judges, will lead a Q&A with the winner after we make the announcement. Be a part of history and be with us for this one-of-a-kind journey. Event is free and open to the public, but due to limited seating we ask that you secure your tickets in advance here. A shuttle will be provided to and from the event from 6pm to 7pm, and 9pm to 10pm. Feel free to check out their Facebook event page and invite your friends and family. For more about Write A House, visit online and follow us on Facebook and Twitter. The long-running rumor in Detroit's real estate community is coming closer to pass now that we know a Nike Inc. Community Store is in the works for a Dan Gilbert-owned building on Woodward Avenue. The suburban Portland, Ore.-based sneaker and athletic wear company has submitted plans to the U.S. Green Building Council for Leadership in Energy and Environmental Design, or LEED, certification at 1261 Woodward Ave. The LEED certification for interior design and construction is in progress, according to a listing on the USGBC website. A different page on the USGBC website says the store would be about 19,500 square feet and it was registered for LEED certification in June. We’ve been hearing for months that Nike has been planning a store in Detroit's central business district, particularly near the new John Varvatos store at Woodward and John R Street. The 1261 Woodward building, formerly the F.W. Woolworth Co. building, has 6,700 square feet of retail space on the first floor, according to the listing on Gilbert’s Bedrock Real Estate Services LLC website. My love affair with Detroit started 25 years ago watching Barry Sanders and the Lions when I first moved to the US from Germany. It was actually one of the first games I ever watched. About 12 years ago I once again fell in love with Detroit and Cadillacs when I bought my 64 Coupe DeVille. I called him DogDog, like an old friend. My favorite pieces of clothing are a Cadillac t-shirt that I have had for 14 years and a Lions t-shirt that is 22 years old. (I still wear them.) Throughout all these years, I have been linked to Detroit, and have always wondered what it was like. The people of Detroit built this country. Ford Motor Company was established there, and the assembly line revolutionized the auto industry. They were the first city to pave a concrete road, assign individual phone numbers, and broadcast news radio. They’re the home of numerous sports legends, motown, and of course, automobiles. Yet the city has had quite a lot of trouble recently. Why? I guess the answer comes from a number of reasons: corruption, mismanagement of money, a shift from an industrial to information economy, the Great Recession , and so on. Over the past six months I have done over 300 hours of research on Detroit and I admit that the negative stories and statistics far outweigh the positive. However, something drew me to Detroit, and last February, while listening to Steve Case at Startup Grind, the concept for the Innovate Detroit Challenge came to me. I realized it was the perfect way that my company, IdeaMarket could get involved with other entrepreneurs, ones who really wanted to make a difference. We were already hosting ideas from investors and letting entrepreneurs come up with solutions on our platform. Why not make it city and cause based? We started talking about the challenge as a company right before SXSW, and we didn't know what we were getting ourselves into. At least, I didn’t. We just went for it. I had gotten it into my head that we would crowdsource ways to innovate Detroit and bring it back to its glory days - the backbone of the US. We decided to host an Idea House in Austin where people came and put ideas on the wall on talked about how they would innovate Detroit. And people actually came. Almost a thousand submissions later, we had an office full of ideas: homelessness, training the workforce, crime, transportation, education, healthcare, blight, reclaiming wood, micro finance, manufacturing, and dozens of other verticals that sounded like there was room for innovation. Restarting The Motor City Teaser| A documentary about the innovators and disruptors changing Detroit from Long Haul Films on Vimeo. Restarting the Motor City is a feature-length documentary, that will tell the story of how innovation and entrepreneurship is remaking Detroit. The film will let viewers envision the Detroit of the future, and experience the challenges and opportunities encountered by the people who are working to bring it to fruition. X marks the spot Thursday, Oct. 8, when the crowds are expected to fill Detroit’s historic Fox Theatre for TEDxDetroit. In its seventh year, the day-long celebration of business and innovation will draw together thousands of creators, designers, thinkers and doers - including influencers like NASA’s Dr. Cathy Olkin and the Consumer Electronic Association’s Gary Shapiro - all set to challenge the status quo, create exciting new connections and inspire one another. TEDxDetroit will also feature live performances by talented artists: America's Got Talent finalist Alicia Michilli, Tunde Olaniran, Ahya Simone, Timothy Orikri, Shelby 5, Chance Morris, Darius Simpson, Scout Bostley and Britney Stoney. TEDxDetroit, an independently organized TED event, will feature a full day of TED talks, live entertainment, local brands and products, a live feed from TEDx conferences across the globe and hands-on, interactive labs, all helping to share a positive message about the city. Attendees can expect to immerse themselves in an experience unlike any other. More than 2,000 attendees are expected at the 2015 event – the largest audience to date in Detroit. In 2009, TEDx launched in major cities across the country. Detroit was among the first to shine a light on its entrepreneurs, innovations and artists in the region. The first TEDxDetroit event drew a crowd of 300. By 2014, a crowd of 1,500 filled the Detroit Opera House. Now, 7 years later, TEDx organizers expect that number to grow once again. Each year, they ask speakers the same intriguing question: “if you had the world’s attention for a few minutes, what would you share?" Attendees can expect to experience a mix of a business expo, art festival, tech conference and revival – all in one. 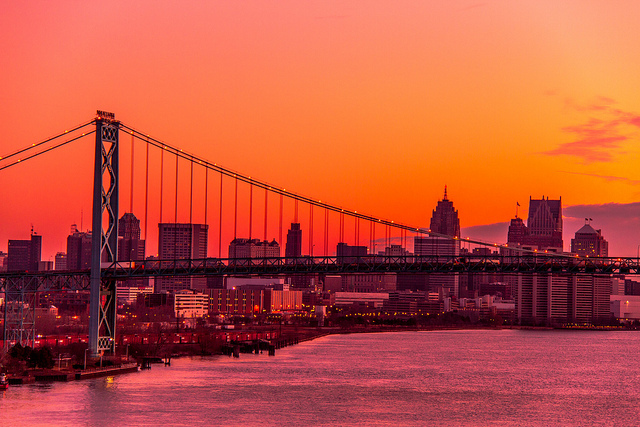 Admission to the 2015 TEDxDetroit conference is open to the public. Advance tickets for the event are available online now for $85. The Detroit of today is the great underdog, and most of the time when out-of-towners, world travelers, and even Detroit suburbanites are in town for longer than a Tigers game, they leave saying something like, "Wow! I didn’t know Detroit was a real city." Welp... we've got your "real city" right here, pal, and it comes with real people and real things to do (and yes, real problems, too). 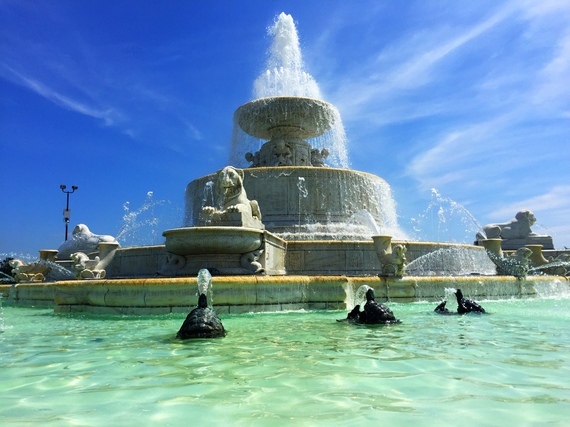 In fact, here’s a list of 11 things that make Detroit an underrated city to visit. Yes, Detroit is becoming a more outdoorsy city. For bikes: Slow Roll, Tour de Troit, the newly extended Dequindre Cut, and of course the Riverwalk. For water: Belle Isle, where you can rent canoes and kayaks, and hang out on the beach, especially during things like OABI. There’s also the recently finished Outdoor Adventure Center in case you like your outdoors with a little more indoors. The DIA, the Red Bull House of Art, the Grand River Creative Corridor... hey, even Shepard Fairey tagged some stuff for us (but of course, Detroit got angry, which was very uncool of us). There are also plenty of small businesses like Signal-Return that are churning out original Detroit-centric work, and there are institutions like The Heidelberg Project and the African Bead Gallery as well. 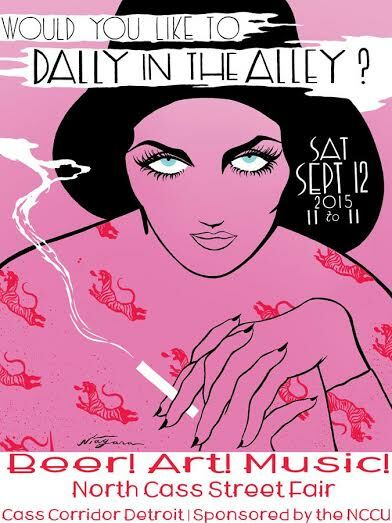 The Dally in the Alley festival celebrates its 38th anniversary Saturday, September 12, 2015. Held in Detroit’s storied Cass Corridor, the annual event attracts tens of thousands of attendees to the live music, DJs, art, vendors, food, reunions with old friends, and the making new friends, too. The festival, a fundraiser for the North Cass Community Union, has some changes this year after experiencing an electrical transformer fire in 2014. In 2015, more space will be made available inside the alley and expanded borders including fencing around the perimeter with 2 dedicated entrances. The festival continues to pride itself in staying true to its core mission of celebrating the area that it takes place in: the Cass Corridor. Dally in the Alley in 2015 will feature over 44 music acts on 4 music stages, a community performance stage, kids fair, live art installations, more than 200 local retail vendors provide attendees with activities and entertainment all day long. 10 food vendors will be on hand, more than any year before. Since it began as an inner city art fair in 1977, the Dally has evolved into a culturally significant affair. In 2014 the festival was named “Best Summer Festival in Detroit” by Metro Times staff. In 2013 in a poll among MetroMix readers, Dally in the Alley was awarded with the honor of “Best Festival in Detroit”. Dally in the Alley takes place in Detroit's North Cass neighborhood, between Forest and Hancock, Second and Third on Saturday, September 12, 2015 (rain date is Sunday, September 13, 2015). The event runs from 11AM to 11PM. Stories of Detroit's revival have continually left out the black residents working to improve the city they've called home for decades. Young black Detroiters have chosen to stay in the majority African-American city or have returned from other places to take part in revitalization efforts -- they’re working in the large organizations and foundations steering the ship, starting the new businesses, educating the generation following them, participating in the vibrant art scene and drinking the pour-over coffees. But their contributions go largely unmentioned. Cantrell is one of the millennials who grew up in Detroit and believes in the city’s resurgence. But he and some of his peers are increasingly concerned about their lack of representation, a phenomenon that has real-world harm, according to Donyale Padgett, associate professor of diversity, culture and communication at Detroit’s Wayne State University. 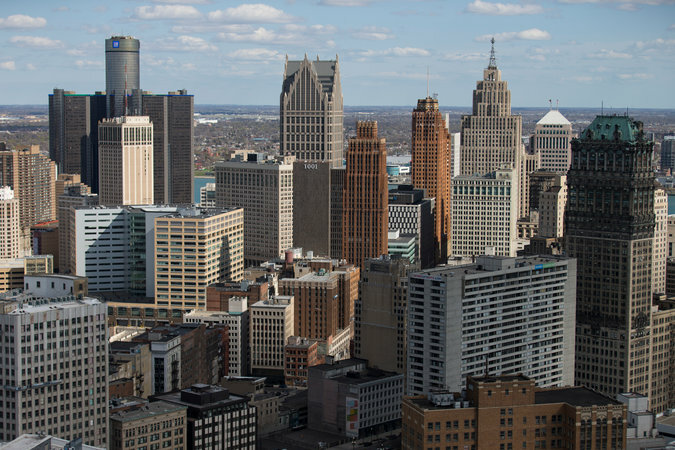 In some ways, that lack of representation speaks to a real and troubling lack of diversity among those with power and capital in the city, but there are still many native Detroiters playing a part in its revival. And while the white artists and entrepreneurs coming to Detroit often get praise for the creativity and courage that entails, there are black millennials showing just as much innovation and hustling just as hard -- and they deserve recognition, too. Below, hear from 11 native Detroiters who are deeply passionate about the place they call home and are making sure they are included in the city’s future.